You have made the decision to be well prepared for most of life’s eventualities. Well done. You have stocked food, and medicine. Stored tools, batteries and equipment. 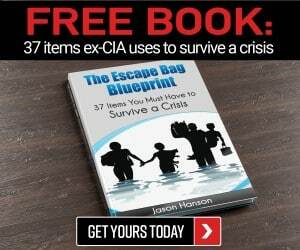 You have a bug-out bag packed, and another, redundant BOB in your car. Every important document is backed up in triplicate. You bought a pistol, holster and a handful of magazines. You go to the range once a month to practice and you think you do alright. On the way out you eyeball the racks of rifles and shotguns. Pretty soon, you think, you’ll be adding one to your safe at home. Then, you’ll finally be “ready.” Right? No. In this two-part series, we will explore what training you should be seeking to guide your growth as a shooter, and what techniques should be a part of your repertoire to ensure that you are well-rounded as a shooter and prepared for any eventuality that may be a part of the fight to come. This article, Part 1, will be the compass pointing the way to your destination; what classes and training you should look for, and how to determine if a teacher is a good fit for your needs. Part II will be the road map showing you when to turn and where; how to practice what you have learned for maximum growth, and how you should approach building foundational technique. Whether you are a seasoned gunhand or rank novice, together these two articles can save you considerable trial and error in figuring out where to apply your time and effort, or help you shore up holes in your existing techniques. Whichever you may be, read on. I applaud your decision to make the safety of yourself and your family your responsibility. It is, just like everything else in adulthood. The issue where I see most folks go off track is on the matter of professional firearms training. I myself have taught a few thousand civilian students in the last 10 years, and that was typically after seeing them in the pro-shop for the first time. The “what brings you here?” question would often produce a familiar story. These new gun owners, like many, suffered not from a lack of determination, but from a lack of education. Training. 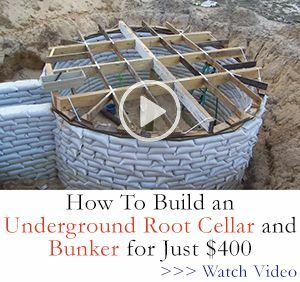 I know that many folks, and certainly preppers, are go-getters, but everyone started somewhere. I am not sure, though, where the average gun owner’s resistance to formal education comes from. Maybe it is ego, for some. For others, perhaps the sheer DIY spirit that compels a marathon binge on YouTube to cut-and-paste together something like a foundational skillset. Sometimes the attention of an experienced relative is sufficient to convince them that they are good enough. The issue is a very human one: we are all victims of our own lack of experience. We overestimate our competency, and react emotionally when something impinges on the ramshackle store of knowledge we have built. I know I sure have. Call it the Dunning-Kruger effect, or arrogance, whichever. Fact is you can learn a lot on your own, if you have the right frame of reference to guide your learning. Without it, you will drift to and fro in your search, drawing what knowledge you can from sources that are of questionable usefulness or do nothing to further your objectives. Another prime consideration is that teaching, and usually learning, is collaborative, while practice is often a solo activity, refining what you have been taught until you can perform the required task effortlessly. Starting your quest for competency with a good teacher will greatly speed you on your way to proficiency, and furthermore will save you money, ammunition and, most importantly, your priceless time. 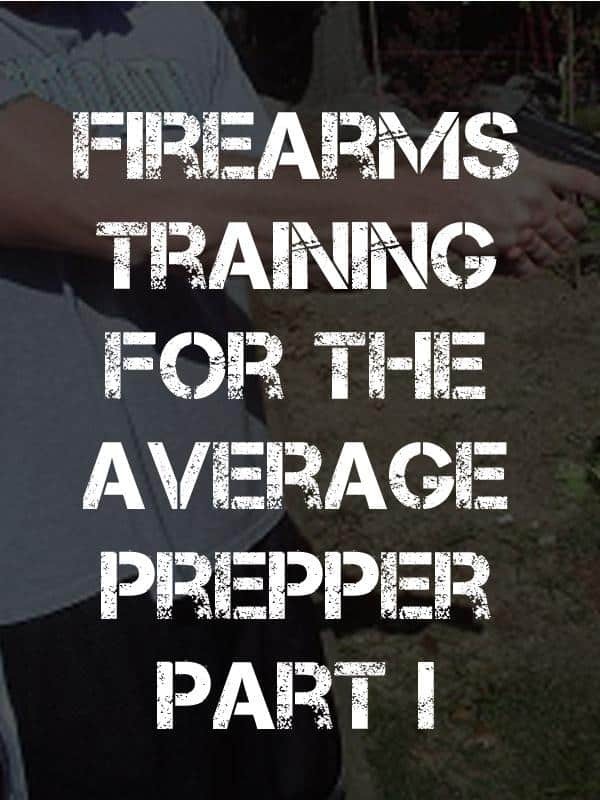 A typical prepper will need to make time to become proficient in a wide variety of skills according to what emergencies they are anticipating, and all of them require at least a time investment, and typically a financial one. We simply do not have enough time on earth to do everything. We have to prioritize the best use of time according to financial resources, need, and urgency. I can make a fine case for moving firearms training near the top of that list. First and foremost, remind yourself are dealing with a powerful, dangerous tool: a gun. The very gun that, if the time comes, you will need to employ at speed, accurately, on the worst day of your life. Will you clear your concealing garment in time, or will it snarl your draw? Will you present the gun cleanly on the target, breaking the shot accurately and quickly before you are wounded, or will you thrust it toward your assailant in blind terror, yanking the trigger with a prayer on your lips as bullets crack past you? Your training will play a major part in the outcome. Second, it is important to establish a hierarchy of needs. These needs should be sorted based on severity of outcome. Be honest, and deliberate here: it is easy for one’s emotional attachment to an interest or existing skills to skew your perceptions of importance. I place firearms skills high on the list, with other crisis resolution skills, but behind medical training. If you don’t know first aid, and at least basic trauma care, make that your number one goal, then get to training on the gun. The decisive moment, as in a play. An unstable or crucial time or state of affairs in which a decisive change is impending; especially one with the distinct possibility of a highly undesirable outcome. Using that definition, crisis skills prevent or mitigate worst-case outcomes should a crisis occur. Skill with a gun, real skill, certainly fits that description. It is not enough, if you are serious, to merely bang away at the range once every month or two and delude yourself about your competency. This is All Very Serious. Where Do I Begin? Start with an honest assessment of your skills. Are you a brand-spanking new gun owner? Have you shot a few times before? Long-time casual shooter? Do you have military or police experience? Have you taken high-end training before? We should be growth-oriented. Move forward, not backward. It is fine to take a refresher course to hone your fundamentals, but once you have the training, you can implement practice on your own. You should be looking to expand your skills and knowledge from reputable teachers. If you are brand new, your first stop will probably be a concealed weapons course to get that all-important carry permit, or license, or whatever it is called in your home state. Look for reviews of popular classes in your area, ask friends and family where they took their class, and follow up with them. See what they liked and disliked about the classroom content, the range session and the teacher. Take their advice with a copious serving of salt: they may know less than you, or not know enough to articulate why the class was good or bad. Focus on finding a class that has a robust live fire session of at least 100 rounds and a strong emphasis on shooting fundamentals. Any classroom content that starts to touch on concealed carry methodology is a bonus. This is only your first stop; do not expect to have the gun-world by the tail when you are done with it, and don’t fool yourself into thinking you do. If you are a little more seasoned or have your permit and are comfortable on your own at the range, you should seek out more advanced pistol courses, typically offered as basic, intermediate or advanced skill-level. These should focus on drawing and firing from multiple positions, including some movement, and from a holster, and preferably concealed. 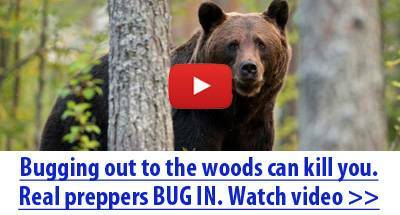 This will be your default mode of carry when you are out in the world, so if you are not getting in good repetitions from concealment (at least in your own practice) you are merely cheating yourself. Don’t do it! As you go forward on the path of proficiency, you should start utilizing more difficult target arrays: multiple targets, moving targets and reactive targets that will only produce a “stop” after one or multiple solid hits. The target mix should combination of paper or cardboard and some steel. Paper target feedback helps keep you honest about your accuracy and steel targets help you get fast and confident in your shooting. More advanced classes will start adding in shooting from point-blank, properly called contact distance, using a flashlight either pistol-mounted or in your off-hand (sometimes both! ), target discrimination and more difficult drills and standards. Malfunction remediation should also be part of the curriculum of any good pistol course. Once you are well-versed in all of the above, seek out a Force-on-Force class. These are scenario based, “2-Way Range” classes that will have you and a role player, or five, in protective gear using specialty firearms simulators that fire marking, paint-filled projectiles. Paintball this isn’t. The guns have flash, recoil and go bang. The festive little bullets really hurt. A good class of this nature will test everything you have learned, including verbal skills and decision making, and are a must for the serious pistolero. Additional classes for larger groups or close-knit duos could include small unit tactics, patrolling and the like. You have probably noticed that I have left out long gun training thus far. That is deliberate: the handgun is, or rather should be, your constant companion, your primary weapon, and the focus of your training. For most of us, the long guns stay at home, or perhaps, in the trunk of the car or truck. If you don’t have a gun close at hand when you need it, it might as well be on the moon for all the good it will do you. You do have your pistol close at hand, right? Right?! That is not an excuse to neglect your long gun skills, but merely the recognition that chances are it is the pistol that we will call on to save our hides. Once you are savvy with the handgun, then I recommend branching out to your long gun of choice, be it rifle or shotgun. This is a topic for another article, but I’d recommend a rifle over the shotgun, for the simple matter that a rifle can do nearly everything you need a shotgun to do in a fight, and can do with a much lower ceiling for proficiency, meaning your training evolutions and practice reps will generally show gains quicker on a rifle than a shotgun. The shotgun’s single greatest strength is its absolute carnage it can wreak at close range with appropriate shot (e.g. No.1 or 00 buckshot). 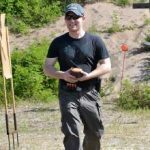 The majority opinion among trainers is that the shotgun, either a pump or autoloader, requires a great deal more practice to use it well at any range, and that has been consistent with my experience teaching students of all skill levels. 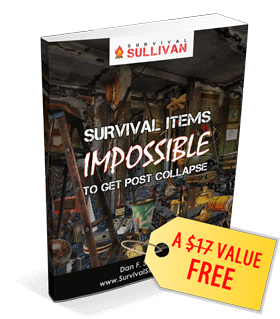 You will give up much in the way of handling and ease of use to get that bone-crunching effectiveness. This is not to say it is not worthwhile, or I am dissing the scattergun: if that is what you have already, or want, drive on with my blessing. Whichever you decide to go with, make sure you find a class that focuses on combatives, not hunting or sport shooting. A crucial step in your journey to mastery is ensuring that your teacher or outfit is both qualified and experienced enough to teach what they are teaching you. It is your nickel, and your time, so it is your responsibility. This requires nuance, and careful forethought. Beware of those who teach “outside their lane” as you will hear it called in the gun sector: that is someone who does not have the experience, or ethical basis, to be teaching a given topic, or soliciting a given opinion. The only things that I teach professionally are basic to advanced handgun skills, concealed carry methodology, and rifle and shotgun fundamentals. I do not teach anything in the realm of CQB, officer survival, small-unit tactics, or anything of that sort. Why? Because I have not done any of those things. Sure, I might be able to relay that same information with something approaching 100% fidelity if I am well-versed on the material and theory, but does that make me qualified to teach it? I don’t think so. Marksmanship fundamentals and solid gun handling is, however, fundamental, and I am content to teach those topics alone if they help a student grow and improve. This topic is contentious, and is an ethical issue to me; it should be one to you. Taking the above statement, the reverse is true also, in its way: just because someone has military or police experience does not mean they are qualified to be teaching anything more than basic handgun skills, or even that they are a good teacher (instructional ability is a skill unto itself!). Take for instance, your average soldier or marine infantryman, or an average police officer. For the infantry, a pistol is, at best, a tertiary weapon. Military training for handguns in any branch and any unit, save perhaps in elite combat units, is middling to abysmal. Most of them are pretty good with a rifle though, and have a lot to teach you about combat mindset and team tactics. Many of them, rightly, are proud of their service and skills, but this does not necessarily make them the best source for your training dollars. Likewise the average cop, while depending on their pistol as a primary weapon, is only fair to adequate with it. Bottom Line: military or police service is, by itself, no guaranteed indicator of an effective teacher. The point is not to demean our boys and girls in blue, or military servicemen and women, or some know-it-all civilian trainer like myself. Not at all! The point is to get you to dig deeper on their credentials, whoever it is! Ask questions about their background, their additional or special training. How much teaching have they actually done? Any instructor development courses? Can they give you referrals or testimonials? How long did they serve? Where? Doing what? Any skittishness or reluctance to answer these basic questions is a warning light. Don’t forget to search them online. Ultimately, even if you get a sub-par instructor, they will always have something to teach you, even if it is only what not to do. Familiarity is not competency. The small investment you make in professional training is an investment in yourself, and the return-on-investment is incalculable. Do not wait to be tested in the uttermost extreme. Good training, and continual practice, can and will give you the confidence and hard-wired skills you need to prevail in a lethal encounter. Get trained, keep it loaded, and keep it close. In Part II, we will be examining what techniques and procedures a well-rounded shooter should possess, and we’ll also be discussing how to practice properly for maximal improvement in the shortest amount of time. It will be out soon here on SurvivalSullivan.com! Who has taken formal training? Who needs to get some? Think you have done ok without any schooling? Sound off in the comments below! Become the weapon then learn how to use one. Bad things can happen at the worst possible time in the worst possible place when you are least prepared, you have your firearm along with an ammunition malfunction, what might avert an irreversible catastrophe your dedicated previous weapons training or your lack of it?? In defensive shotgun shells, #00 Buck will work adequately, and is usually fairly available. #1 Buck may work as well, but is likely to be hard to find. #4 Buck seems generally to be regarded as the superior defensive load. I’m surprised at the statement that “a rifle can do nearly everything you need a shotgun to do in a fight, and can do with a much lower ceiling for proficiency, meaning your training evolutions and practice reps will generally show gains quicker on a rifle than a shotgun.” Do you have any idea why this would be? Within the range of a shotgun, it has been my experience that the shotgun is easier to become proficient with. As long as we are talking about a rifle with equivalent recoil and effectiveness. I can see that becoming good with a .223/5.56 would be quicker and easier than a shotgun due to the negligent recoil of the small caliber rifle. However, that particular round is not noted for it’s ability to reliably stop an attacker. Hey, John. 00 buck is a mainstay for good reason, and an appropriate No.1 buck load is considered to be the “ideal” all-purpose antipersonnel load if using buckshot if you can procure it. I am a little fuzzy on the math, so don’t beat me up too badly on it, but I recall seeing the numbers calculated as an average No.1 buck load of 16 .30 caliber pellets producing a cross-sectional area of 1.15 inches, whereas the average 00 buck load of 9 .33 caliber pellets produces a cross-sectional are of .78 inches. Those numbers refer to the areal amount of total permanent tissue destruction with a strike of all pellets. Both penetrate adequately. No.4 buck on the other hand is much smaller, penetrates less, and struggles with intermediate barriers. It is far from wimpy, but is definitely suboptimal. Regarding achieving proficiency with the shotgun, it is my opinion that the greater recoil of the shotgun is a factor, but not the prime one: while easier to hit with, generally, shotguns are much heavier, have far less capacity and are far more shooter intensive to keep loaded and firing compared to any magazine fed firearm, especially pump action shotguns. The mental workload on a shooter to use a shotgun effectively is higher. Add to that the higher likelihood of user-induced malfunctions, and a far more complicated firing solution procedure owing to the necessity of changing loads for targets at “long” ranges (ranges that are easy for any rifle), considerable background threat to bystanders with buckshot at extended ranges, and overall low endurance due to weight and bulk of ammo, and it turns into a cost-benefit analysis: you will sacrifice much, and must train hard, to benefit from the stompy goodness of buckshot at close range without hobbling yourself beyond, whereas the rifle will certainly grievously wound someone both in the room and at 200+ yards with only a slight change in hold. A shotgun can be effective at longer ranges with a slug, but you are still hampered by low capacity, formidable recoil and reduced accuracy compared to nearly any rifle. I would disagree with the assertion that the 5.56mm is a poor stopper. Most modern 5.56mm loads are effective, and many optimized expanding loads are extremely effective in the defensive or LE roles. In the pantheon of rifle cartridges, the 5.56mm or .223 Rem. may be puny, but both are an order of magnitude more effective than any handgun, and, considering all the other perks that they bring to the table, the current ideal choice in performance and logistics for the average professional or civilian in the general purpose defensive role. The shotgun is a short range weapon and the rifle is a long range weapon. I can see how if you have to choose one over the other, the rifle would be easier to learn and more effective at short range than the shotgun is at long range. It would be best to learn both, but rifle first (or only) could be good for many people. With the appropriate ammunition, yes the 5.56 is entirely adequate. I suspect many people buy what is cheap (or readily available) rather than what is effective. I do not have the item SKU’s off the top of my head, but Winchester and Remington both produce 16 pellet No.1 shotshells. Federal offers (or did at one point recently) a Flitecontrol load with 15 pellets of No.1 buck, and it is a dynamite all-purpose buckshot load. I do recall seeing the typical Federal loads as being 12 pellet, as you mentioned. At any rate, No.1 buck is comparatively rare because few companies make much of it. They don’t make much because people aren’t asking for it, and so on and so on. The price is going to be comparable to 00, so no savings there. Thanks as always for the thoughtful discourse, and for reading, John! If you get to the point where you need to be shooting people, you have failed to anticipate developments. Anybody who would involve themselves and their family in a shooting situation can’t say they prepared. In WWII, when tens of millions of people were dying in Europe and Asia, others went to restaurants and the opera in Argentina. Many citizens from Japan and Germany saw the war clouds forming and got out of harm’s way. That is what a true prepper does. It’s a big world, and there is always a peaceful, prosperous place to raise your family. Hi, Roddy. I do agree that most confrontations can be avoided if one is alert, and quick to take action to avoid trouble. However, the reality is that sometimes a fight cannot be avoided, and if that is the case it would behoove one to be able to both survive and prevail. Fleeing a brewing war is on a somewhat more forgiving timetable than a mugging on the street or home invasion at 2:30am.